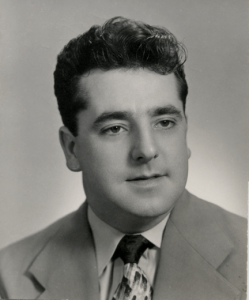 In 1979, Engineering Dean Jim Clapp organized the College Recognition Committee, named after alumnus Edward T. Bryand ’52, with all engineering departments, physics and chemistry to serve on the committee. The first College Recognition Banquet was held in 1980. Criteria were established for two awards: Ashley S. Campbell Award and the Edward T. Bryand Distinguished Engineering Award. 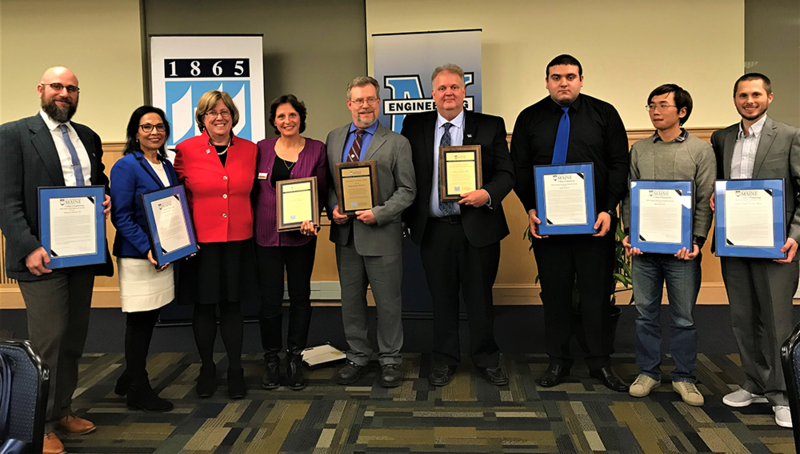 Other awards for individuals and students were added thru the years and the awards have continued every year since 1980, including the Leila C. Lowell Award for staff members that began in 1983. The ceremony happens in November each year and has become the College of Engineering’s most prized event where our faculty and staff are recognized for their dedication and achievements in engineering, research, and public service. The College of Engineering EDWARD T. BRYAND DISTINGUISHED ENGINEERING AWARD was established in 1979. The purpose of the award is to give recognition to an individual, outside the University, who has, by his/her activities, achievements, and scholarship brought distinction to the profession of engineering. Selection of the recipient shall be made each year with presentation of the award being made at the College Recognition Banquet. The College of Engineering ASHLEY S. CAMPBELL AWARD was established in 1979. The purpose of the award is to give recognition to a faculty member who has, by his/her activities, achievements, and scholarship brought distinction to the education of engineering students. Selection of the recipient shall be made each year with presentation of the award being made at the College Recognition Banquet. The College of Engineering LEILA C. LOWELL AWARD was established in 1983. The purpose of the award is to give recognition to a staff member who has, by his/her activities, achievements, and scholarship brought distinction to the field of engineering. Selection of the recipient shall be made each year with presentation of the award being made at the College Recognition Banquet. The College of Engineering SERVICE AWARD was first established in 2014. The purpose of the award is to give special recognition to a faculty or staff member who has, by his/her activities, achievements, and scholarship brought distinction to the field of engineering.